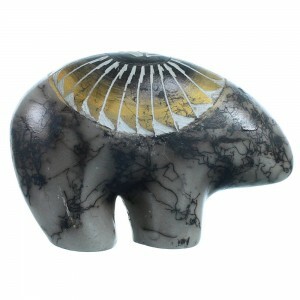 We have a vast selection of Native American pottery at SilverTribe and offer the lowest prices available. 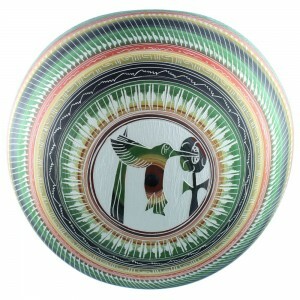 From beautiful hand-painted pieces to intricately engraved Southwest pottery. 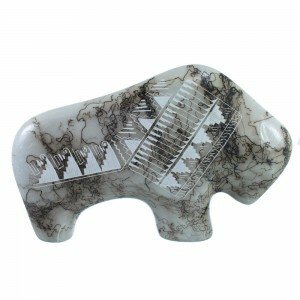 Native American pottery is a craft that has been handed down and perfected for thousands of years. 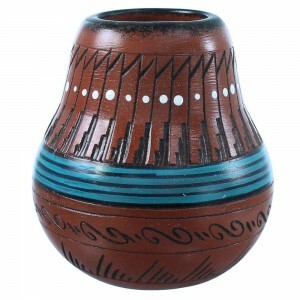 In fact, one museum in Los Angeles has an example of Native American pottery carbon dated to 30,000 B.C. 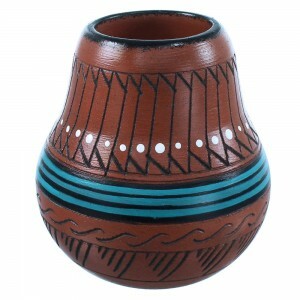 Native American pottery as we know it started being made roughly 2,000 years ago, experts believe. 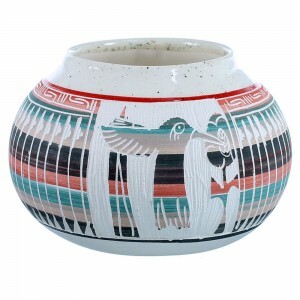 When nomadic American Indians began focusing on agriculture and settled down, Native American pottery was developed out of necessity to gather water, store grains and help preserve seeds. 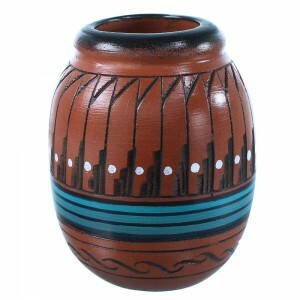 The pottery became much more than a necessary container. 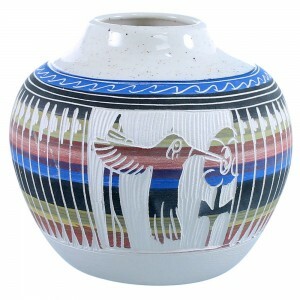 Each piece of American Indian pottery is a work of art and many of today's Southwest pottery artists use methods that have been handed down through the tribes for hundreds or thousands of years. 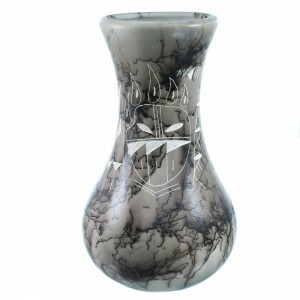 The Navajo Nation is the largest American Indian group in the United States and is also home to some of the most amazing Southwest pottery in the country. 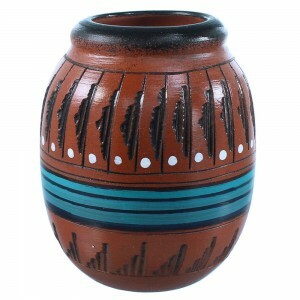 From the time railroads first came west until today, Navajo pottery designs and shapes have made the tribe a force in the pottery market. 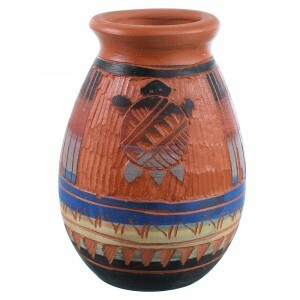 Other tribes also made beautiful Southwest pottery with distinguishing designs and methods. 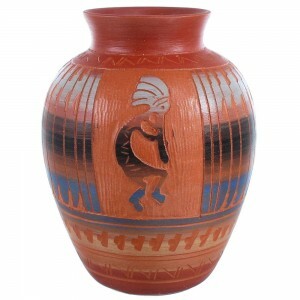 Many of the symbols painted or engraved on our pottery have been used in American Indian pottery making for generations. 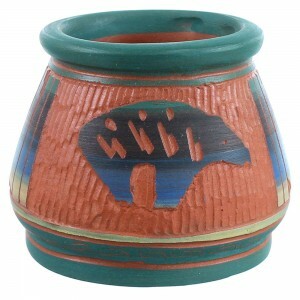 The early Southwest pottery makers paid homage to the beautiful landscapes through the use of symbols. 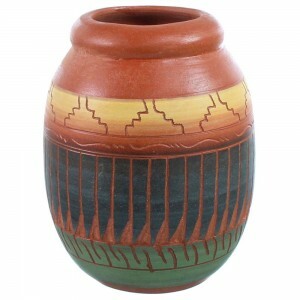 Common imagery used in Native American pottery includes rocks, clouds, rain, mountains and corn, to name just a few. 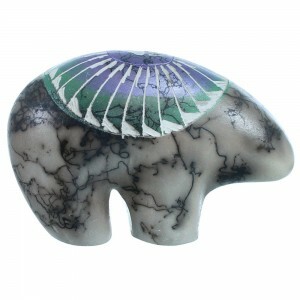 Southwest pottery often uses imagery to convey the balance between man and other beings, showing a regard for all creatures we share the earth with. 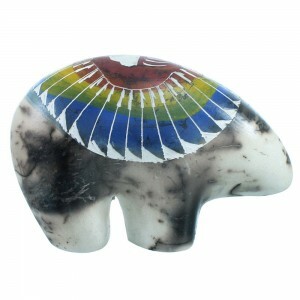 The artwork helps capture the reverence Native Americans hold for their surroundings. 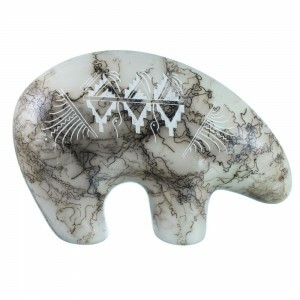 Spirits also make an appearance on Native American pottery. 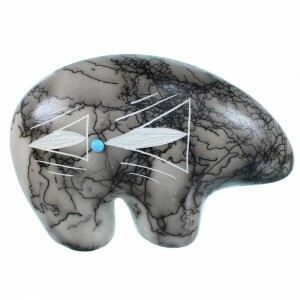 The Yeii Spirit is considered as a mediator between man and the creator and is a beautiful depiction that appears on American Indian artwork and Hopi pottery. 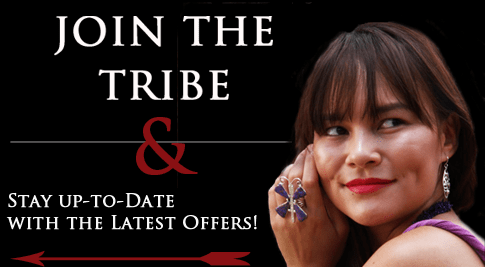 Yet every tribe has its own examples of stunning Southwestern pottery that is inspired by their surroundings, spiritual beliefs and artistic creativity. 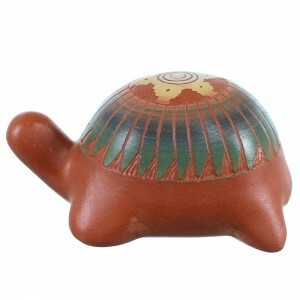 The distinctive style of Southwestern pottery has made it a much sought after item in the Native American jewelry and art community, and we offer beautiful Native American pottery for those looking for a beautiful addition to their art collection.